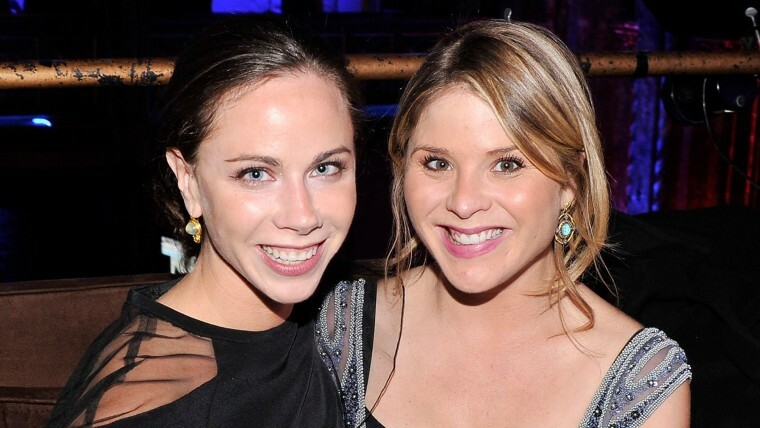 TODAY correspondent Jenna Bush Hager shares how her parents encouraged her to find her own identity (especially as a twin) and why labels are often far too limiting. I'll never forget the summer before my freshman year in high school. Nerves were getting to me. We had just moved to Austin from Dallas a year and a half earlier, and the unknown of what high school would bring made me feel uncertain and insecure. “Mom, will I be as smart as the other girls at Austin High?” I asked her. Will I be as pretty? Will the boys like me as much as the other girls? Will I make friends as easily?? It's a lesson that comes with age, and one I wish I could have shared with my younger self more often: Comparing yourself to others is a waste of time. My parents never compared me to my twin sister, Barbara, which was a gift. But we were constantly compared by the outside world: She has brown hair; she has blond. She’s the loud one; she’s quiet. But because our parents, the center of our universe, refused to compare us, we grew inseparable and always celebrated each other’s successes. TBT: B and me from 86'. 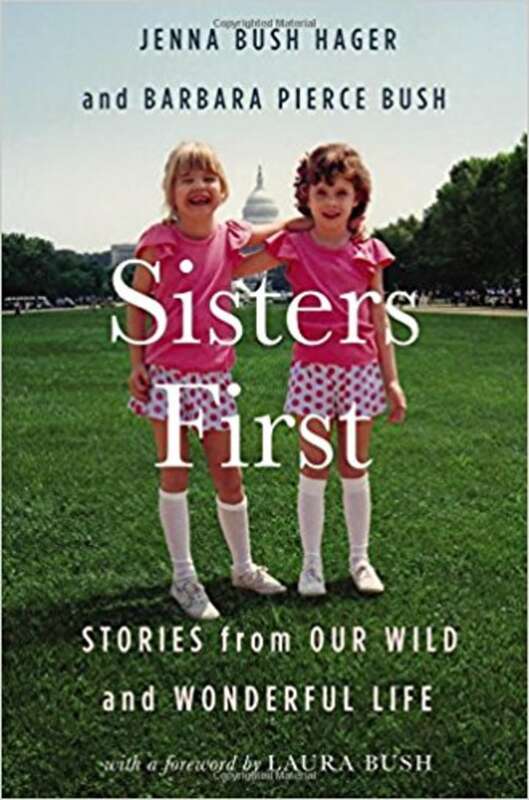 It didn't make #SistersFirst, but happiest memory with my sissy. Our book is out 10/24! When Barbara achieved a nearly perfect score on her SATs, my parents didn’t make me feel as though my score was a disappointment. Even as I toiled away in an after-school test-prep class, I was happy for her. After I had my daughters, I realized how easy it is to compare your kids and how harmful it can be, too. I adore both of my preciously different girls and, like my Mama, I hope to help them see their unique qualities as gifts. I want to help them to embrace their strengths and when it comes to their shortcomings, teach them to be easy on themselves. Recently, I've noticed just how many labels we face as women. There are so many ways society compares us to each other. I’ve seen how the language around being a woman can make us feel less-than, insecure and uncertain. Let’s be united as women ... women who are multiple things at once. Some of my best friends who are stay-at-home moms say they feel guilty for not working. And I know that as a working mom, I’ve felt terrible for taking time away from my girls. I've felt ashamed when I've missed school events or other important days. My sister, who isn’t married, is constantly asked why not. And one of my married best friends is constantly critiqued for not having children. We can't win! And so, when we discuss what real women are, how about this: Why don't we as women change the dialogue? Let's break down the labels: "working mom," "stay-at-home mom," "wife," "girlfriend," "married," "not married" — and just be women. Those are all things that define us, yes, but they shouldn’t decide us. Let’s be united as women ... women who are multiple things at once. Women who support each other and lift each other up. And — this is for my dearest sister, who is many beautiful things — can we please come up with better questions for women than why they aren’t married? We are judged by the way we look, what size we wear, our choice to marry, our choice to have children (or not) and it's all too much. Every woman is fighting her own label and her own battle, so don’t worry about comparing yourself. Instead, let's decide to lift each other up. Kindness and compassion are labels that actually mean something.